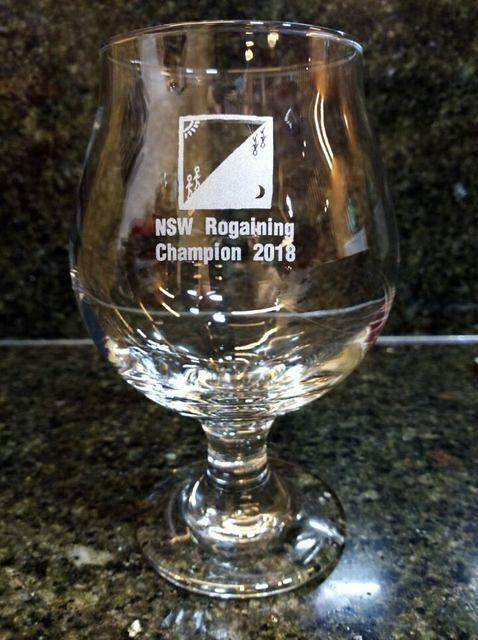 NSW Rogaining Champs 24/8hr – 22-23 September – Results, Photos & Map Now Available! 140 brave souls fronted the start line of the (rather ironically named) “Silent Retreat” Rogaining Championships in what most people agreed was a superb but challenging course that included most of the topographical features in the rogainers dictionary and was truly worthy of a Championship event. Thanks to event organiser Michael Watts for his hard work in pulling the course together, and the rest of the organising team for their hard yards which were certainly appreciated by the many souls that fronted up! 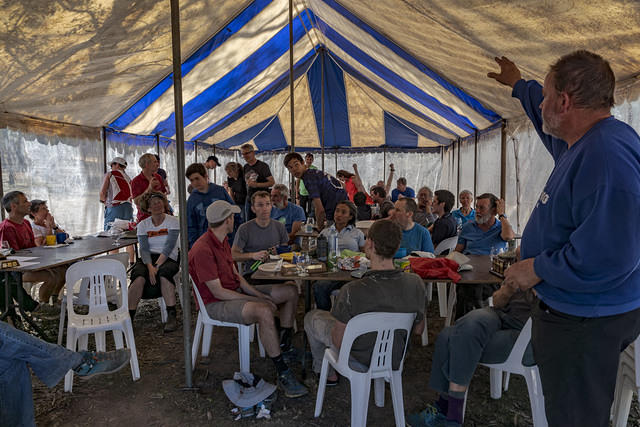 Also thanks to Mike Hotchkis for organising the post-event get-together on Wednesday night in Surry Hills, which was particularly appreciated after a 24hr when competitors could discuss their route choices not falling half asleep. With around a dozen souls who made their way in, we hope to turn this into a new tradition after our events! Will you be there at the next social? I have put together yet another blog post for the event, that you can view here, and Colleen Mock has contributed her report here. Thanks Colleen! From our unstoppable webmaster Chris, who has painstakingly collated people’s relative performance in their best three events. The 2018 Series Point Score after six events and one to go, is approaching the business end of the season. Men's - Thomas Brazier is 65 points ahead of Tristan White. Tristan needs 247% of median at the Socialgaine to pass Thomas, assuming Thomas does not also compete at the Socialgaine. While 247% is a lot Tristan is capable of it. Womens' - Gill Fowler, unsurprisingly, has a very comfortable lead in the Women's category. Interestingly, two of Gill's scores are averages as a result of her volunteering at the Metrogaine and the Minigaine. Men's Vet - Glen Horricks has only competed in three events, but that is enough he is certain to win the Men's Vet point score with Andrew Smith a fair distance behind. Women's Vet - Toni Bachvarova has this one sewn up with Sandra Thomas 2nd 114 points behind. Men's Super Vet - Mike Hotchkis has an absolute mortgage on this category. He is 167 points ahead of John Bulman with no realistic prospect of being caught. Women's Super Vets - Robin Cameron is currently leading with Cathie Bradstreet 34 points behind. If Cathie scores 147 percent of median at the Socialgaine she will pass Robin, assuming Robin does not score above 138 at the same event. Men's Ultra Vets - This category is a tight competition between Warwick Selby, Greg King and Andy Mcqueen. Any of them could win it, but Warwick Selby is currently favourite since he is currently 4 points ahead. If Greg or Andy can repeat their excellent performance from the NSW Champs then they will probably win. Gordon Wilson has only competed in two events so far this year. If he competes in the Socialgaine he could also win this category. This category is the one to watch. Women's Ultra Vets - Margaret Waugh is currently leading with Pam Montgomery 18 points behind. Penny Field, who is currently in third could also win this category as could Kath Anderson who has only competed in two events so far this season. Men's Under 23 - Keelan Birch has this category under complete control and is 191 points ahead of 2nd place Ivan Koudashev. Women's Under 23 - Jemma Duerden seems destined to win this category. She is currently 49 points ahead of Lizzy Mee. To win Lizzy would need 169% in the Socialgaine and Jemma to score under 130%. The Sydney Summer Series Returns! The popular Sydney Summer Series has returned for the 2018-19 summer season with the first event kicking off on the 3rd of October. Each event comprises of a 45 min individual orienteering score course (i.e. micro-rogaine) each Wednesday evening over summer, scattered over Sydney (parklands, bushland and streets), and many rogainers participate regularly and do pretty well. We highly encourage rogainers living around the Sydney area to give it a go, as it is a great way to practice navigation and route planning skills in a high-pressure environment. NSWRA is hosting an SSS event on Wednesday 14th November, so we are forming an event team with roles including updating the base map, setting, vetting, and on the day help such as hanging controls, handing out maps and collecting monies at the registration desk, coordinating the results computer and collecting flags. If you would like to help, please contact Gill Fowler [email protected] This is a week before the Socialgaine, with the hope of promoting our events to others. “Berowra Bewilderness (Rivers, Rocks and Ridges)” 4/8hr Socialgaine – Sunday 25th November – Entries Opening Soon! Our next event and final one for 2018 is the Socialgaine, which once again will be based in Hornsby Shire, this time in the northern leafy suburb of Berowra where the course setter (yours truly) and vetters (Andrew Smith and Antoniya Bachvarova) have been working hard to make a course that will appeal to everyone, from physically and mentally challenging for the tip of the field, a more gentle bushland loop for families, and even a sanctioned loop that is completely stroller/wheelchair accessible! 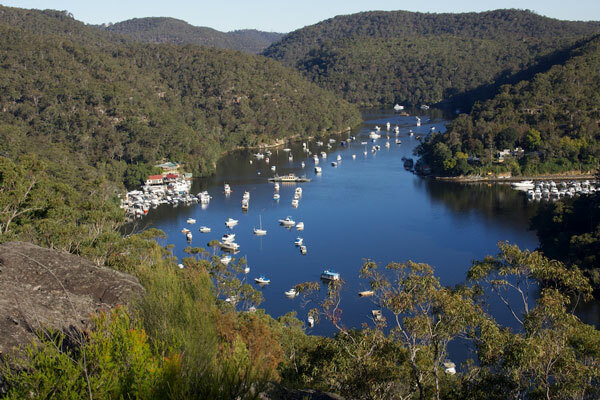 Berowra Valley National Park is one of the most popular bushland areas in Sydney with beautiful waterways, wildlife, interesting sandstone formations, countless lookouts and a huge network of tracks including an iconic section of the Great North Walk passing through it. I have been long “bewildered” as to why a rogaine hasn’t been held there before, so have decided to change this. Diverging from our usual tradition of a 6hr event, we will be trialling a “social” 4h event for those less experienced competitors, and an 8h option that will allow competitors to experience as much of the area as possible. The event will be headquartered within walking distance of Berowra station and just off the M1 and Pacific Hwy. There have been plenty of generous offers for flag collection, but we are still quite light on other helpers on the day. If you can offer your assistance during the event itself, that would be much appreciated. If you can’t make the event but would like to see the course, I would love a (preferably competitive) team to go out in rogaine conditions once all the tape is marked to get a better picture of how things are scored and if anything should be changed. Did you realise that 91 volunteers stepped up to bring you a superb set of events in 2018 – including the 11 dedicated members of the NSWRA Committee that work tirelessly to keep the wheels turning. 2019 is rolling around quickly and we are still looking for Event Organisers and Course Setters for MOST of the events for the year – most importantly, the 3hr Minigaine and the 6hr Metrogaine which are first up in the new year. 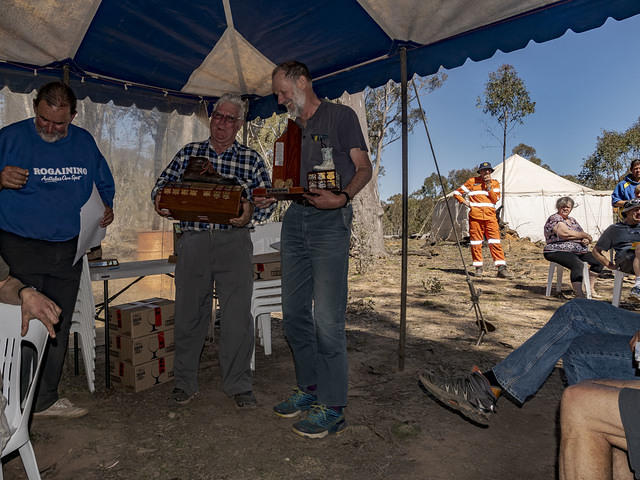 Grab your rogaining partner(s) and have a go at getting one of these important events off the ground – you’ll learn heaps, feel great and not lose any points on the NSWRA Series Points Score! Contact Graham, the Volunteer Coordinator or just go to the Volunteer Registration page on the website.